Head Injury Accident Lawyers in Los Angeles, San Fernando Valley, San Bernardino and California - Over 40 Years of Experience You Can Trust! 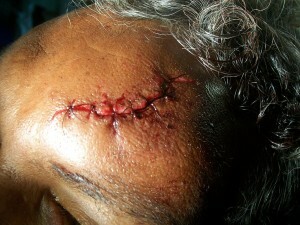 Head injuries are extremely dangerous injuries that can cause permanent disability, mental impairment or even death (resulting in wrongful death claims), and commonly occur as a result of car, truck, motorcycle and pedestrian accidents as well as falls from great heights and sports activities, including in football and soccer games. If you or anyone you know suffered a head injury, concussion or other personal injury due to an accident or collision in Los Angeles, the San Fernando Valley, Ventura or anywhere in California, please contact our head injury attorneys now for an absolutely FREE CONSULTATION and CASE EVALUATION. We have over 40 years experience successfully handling thousands of head injury and other serious injury accident claims. In fact, in one recent accident fall case, we recovered over two million ($2,000,000.00) dollars for our client who fell off of a balcony, suffering a head injury. Please feel free to read about some of our credentials and experience and also visit our Testimonial Pages to see what some of our clients say about our personal injury lawyers and case results. The head consists of the skull that is comprised of eight (8) cranial and fourteen (14) facial bones. These different bones of the skull are joined together by immovable interlocking joints known as sutures. The bones are also connected through synarthrodial joints that form by ossification. The remaining space between connected cranial bones is filled with fibrous membranes, which are eventually replaced by bone growth by the time a human reaches just the age of two (2). The bones that make up the skull protect the brain and provide support for the muscles that move the head and control facial expressions as well as chewing. Please also visit our brain injury and concussion injury web pages located in this website for more detailed information regarding head injuries. Head injuries, resulting from severe trauma to the head that occurs in car accidents, falls and sports events, can range from skull fractures to severe traumatic brain injury to concussions to bruises. If you have suffered any injury to the head, please seek immediate medical care and do not hesitate to contact our highly knowledgeable and experienced head injury attorneys, who provide aggressive and caring legal services to resolve your claim and help you receive the maximum compensation for all damages and losses incurred due to your head injury and any other personal injury sustained. Different care and treatments are used to treat victims of head injury accidents depending on the severity of the head injury. A head injury needs to be carefully monitored and the person should receive medical attention immediately to ensure that the impact to the head is not serious and/or that proper care, treatment, medications and rest are prescribed. 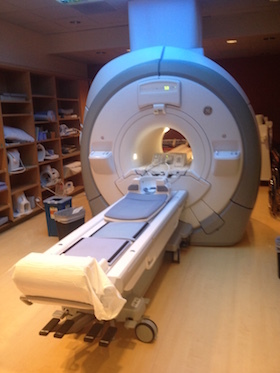 Often, hospitalization with appropriate scans, such as CT and MRI scans, are done and then read by an experienced neurologist, neuro-surgeon and/or radiologist. There are many time deadlines and procedural requirements in handling any head injury and/or personal injury accident injury claim, especially if an insurance company is involved and/or any government entity and/or government claim need be prepared and properly and timely filed, so please do not delay in contacting our injury lawyers and law offices for your absolutely FREE consultation or your claim may be lost or diminished. If you had a head injury, our personal injury & wrongful death accident lawyers offer an absolutely FREE & CONFIDENTIAL case consultation and evaluation and we work on a contingency fee. That means there is NO fee until you WIN and then the fee comes out of the recovery usually paid by the other parties’ insurance company and not out of your own pocket. Simply click here for our quick and easy contact form to tell us about your head injury or other injury accident.